Fresh off our bazaar in New York and just in time for back-to-school dressing, Kids Fashion Fair returns to LA Sunday, September 17 from 11am to 4pm. 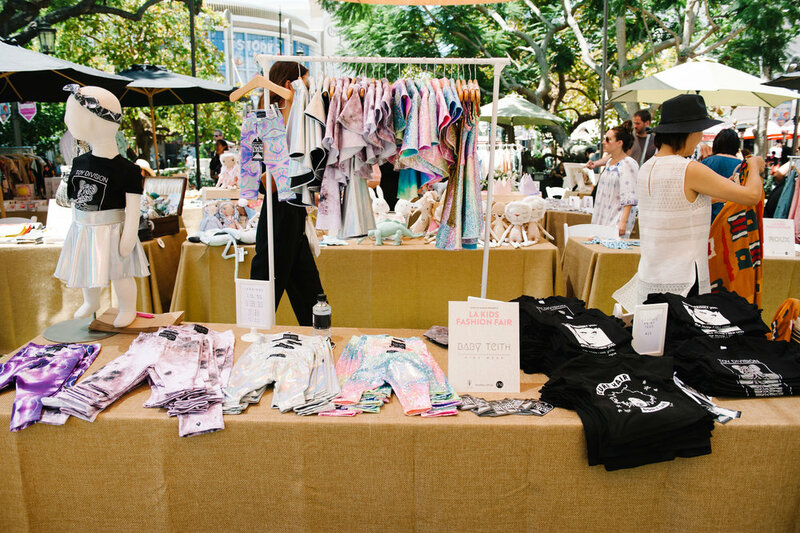 Come hang with us at The Grove to shop a dozen of our fave indie kids clothing, accessories, and toy brands: Bien Bien, Chaboukie, Daniel Patrick, Fawn Baby, Ice Cream Castles, Lil Libros, Little Moon Society, Munchkin, Nico Nico, Olive + Ocean, Telegraph Ave., and Wil & Frida. That's not all: The event will also feature a back-to-school fashion show styled by celebrity stylist Caley Rinker and will star a handful of Fashion Mama LA members' stylish kids, including @zooeyinthecity, @stellaandblaise, @kingsleybelle, @reddincolor, @kingandkaui, and @gypsylittle. #FMLAKFF is free and open to the public; see the invite below with the full details, then let us know if you'll be joining by RSVPing here.